We at European Springs are very excited to announce our 2019 exhibition line-up. You can find us at various industry and manufacturing exhibitions in the new year, where we will be showcasing everything we do best. From our success at the Engineering Design Show back in October, we are looking forward to presenting our products and services at these upcoming exhibitions. It is one of the most popular engineering shows, and it entered its third decade in 2018, moving into a permanent home in the Farnborough International Exhibition and Conference Centre. This event is a must-see for those involved in design, engineering production and procurement. The National Manufacturing and Supply Chain Conference and Exhibition includes an impressive line-up of manufacturing leaders, academics and government agencies who are attending to engage in a stimulating blend of keynote addresses and debates. The aim of the conference is to showcase approaches to improving organisational and processing method, and to disseminate the cutting-edge research that underpins them. Small and large manufacturers will gather from across the country to challenge political decision makers to deliver a business environment which manufacturing deserves. If you can’t make the Dublin exhibition, join us at the Northern Ireland Manufacturing and Supply Chain Conference and Exhibition for another impressive line-up of manufacturing leaders, academics and government agencies for delivering keynote addresses and debates. Key topics of the exhibition include: procurement, supply chain optimisation, information technology logistics, project management and materials handling and robotics. 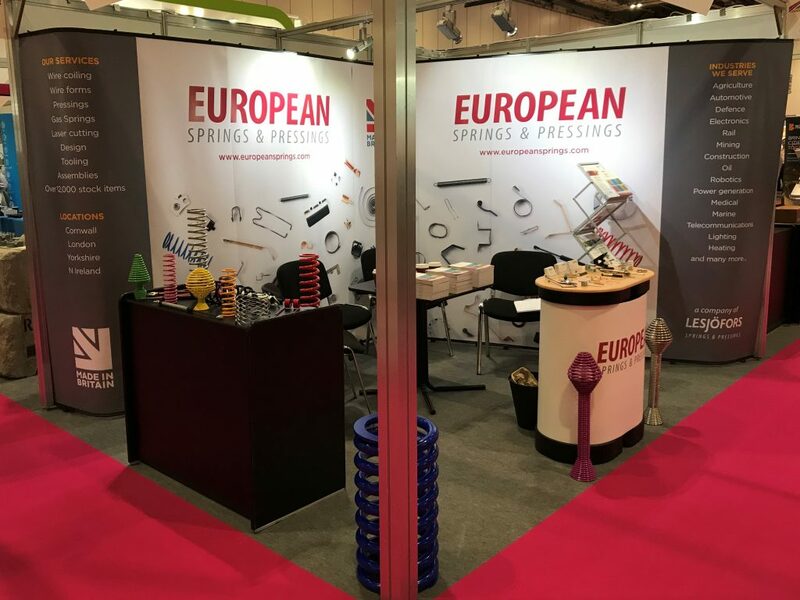 The FAST Live exhibition is the UK’s only event specialising in fastening, bonding and assembly for design engineers, production professionals, manufacturers and fastener buyers. This free-to-attend event aims to help visitors meet and do business with leading suppliers of fasteners and advanced materials. Whether you’re looking to reduce costs or speed up production, FAST Live will have a manufacturer with a solution for you. The CV Show is the largest and most comprehensive road transport and commercial vehicle event held in Britain. Attracting close to 21,000 business visitors, the CV Show attracts nationwide attendance. Exhibitors at the CV Show lead the way in developing technology and solutions to address the changing needs and requirements of those operating commercial vehicles, promoting the best that the industry has to offer. You can find more information about how to attend these exhibitions on their websites. We hope to see you there!